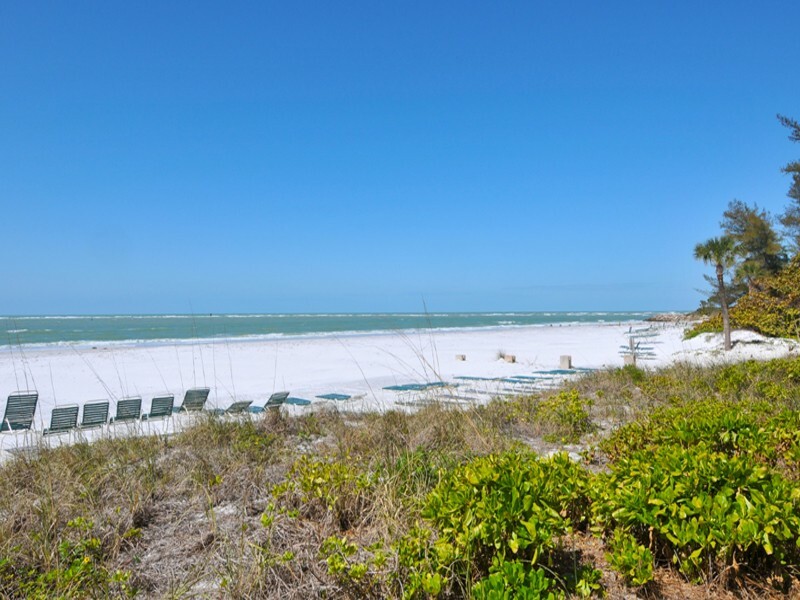 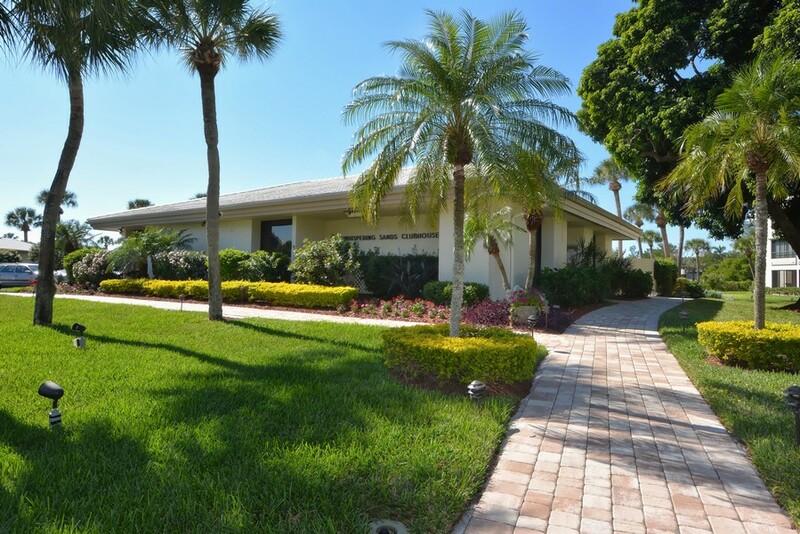 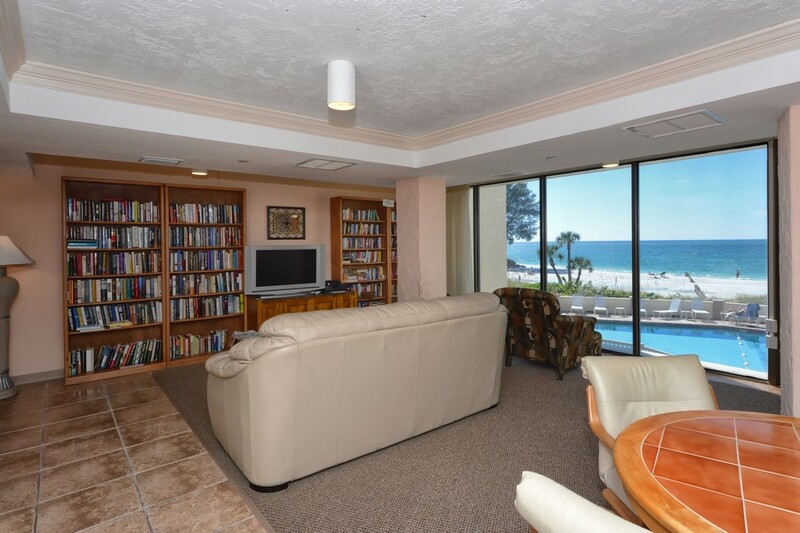 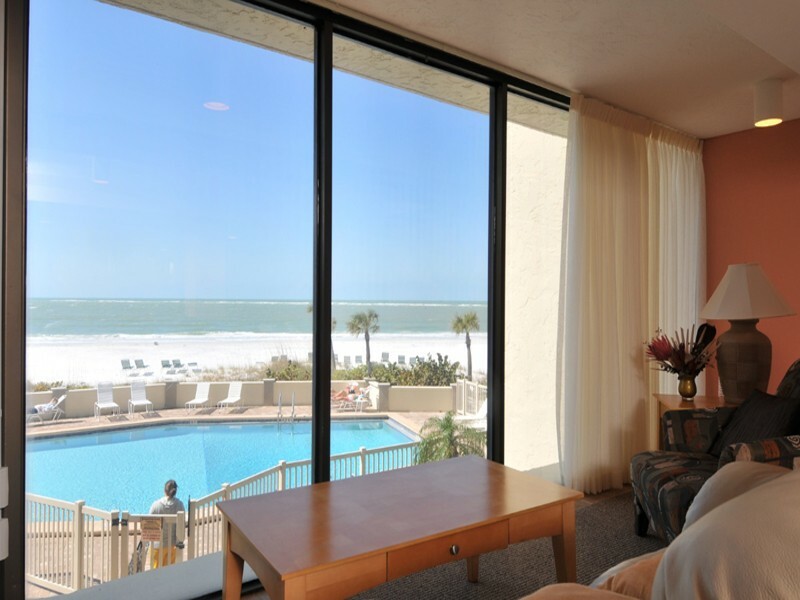 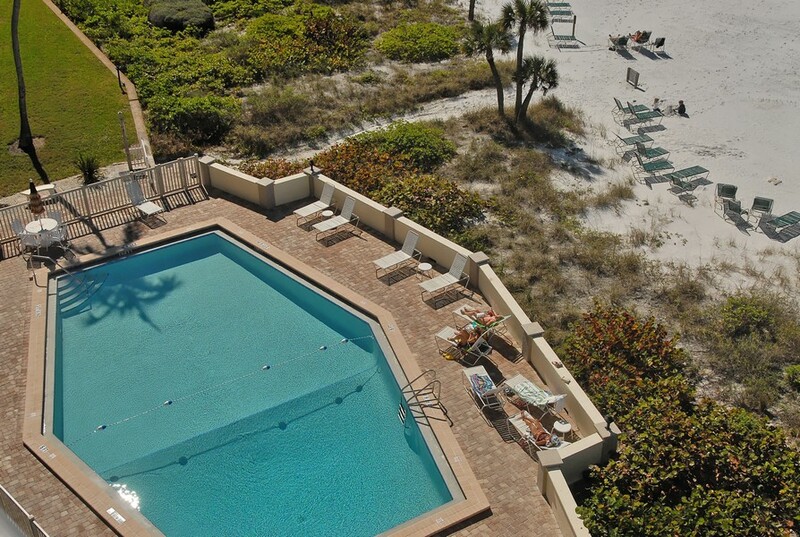 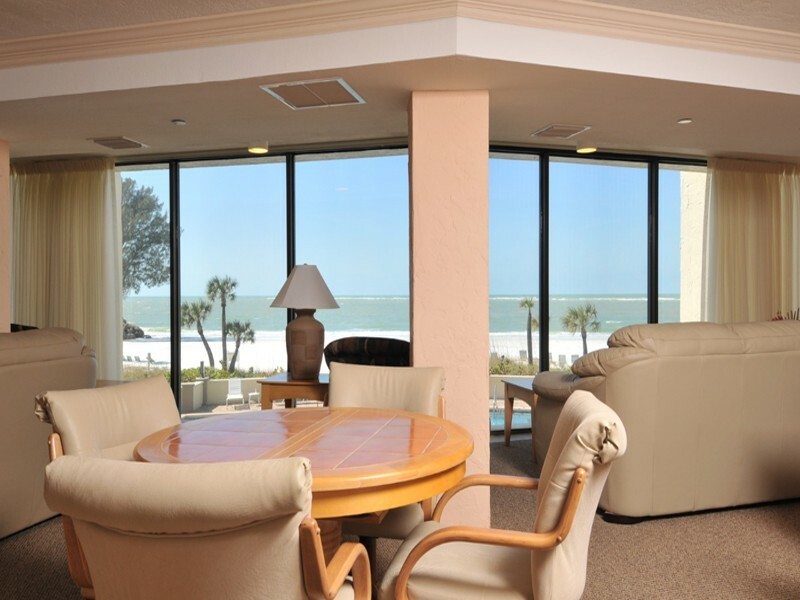 Whispering Sands is an adult condominium complex for residents 55 years and older and set on Florida’s famous Siesta Key. 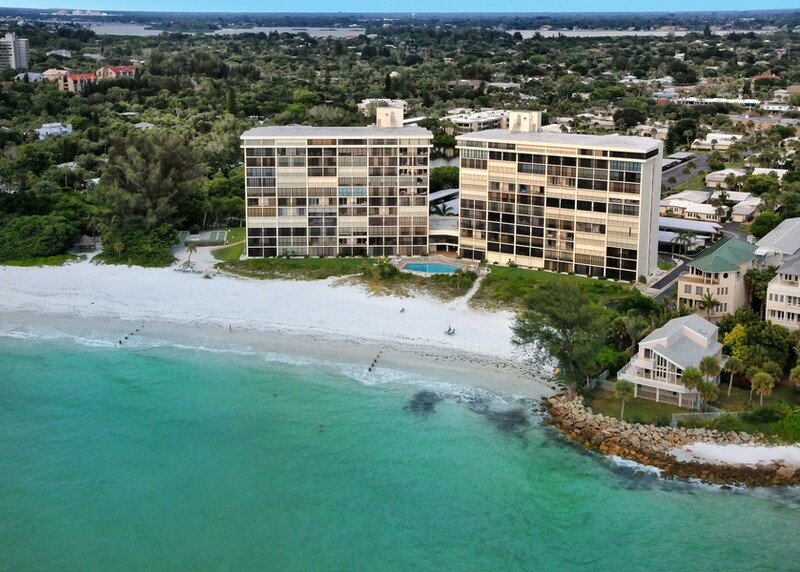 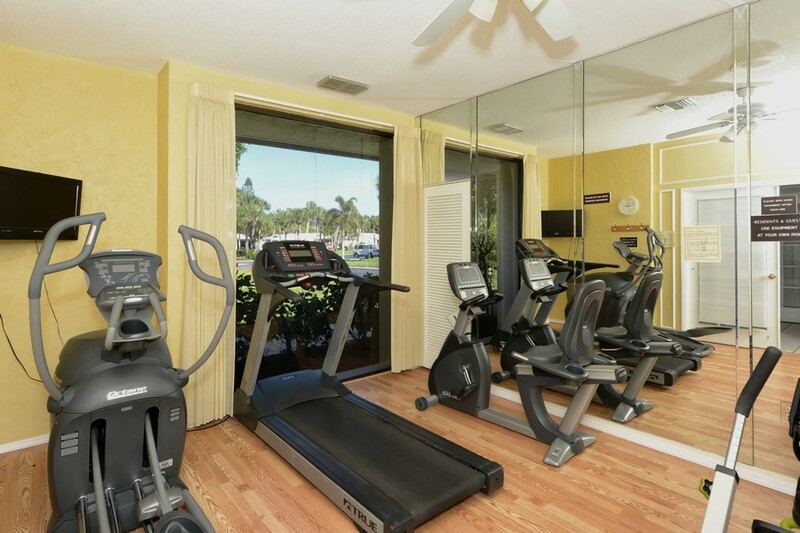 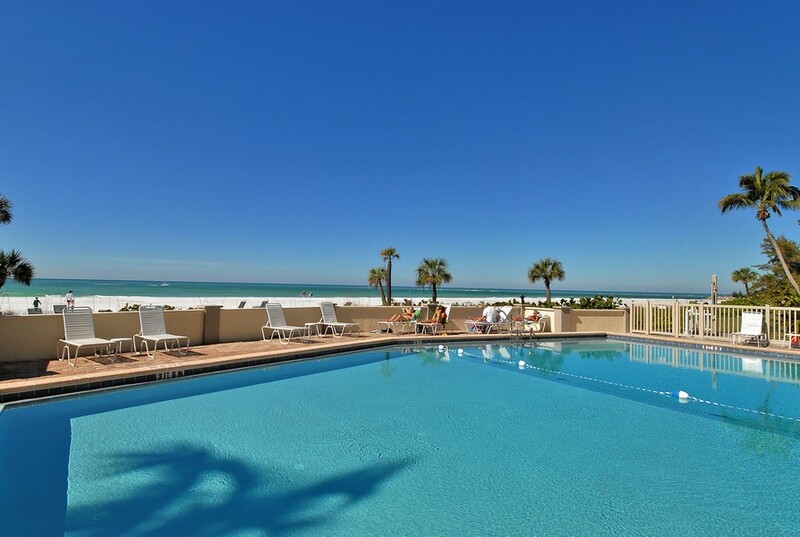 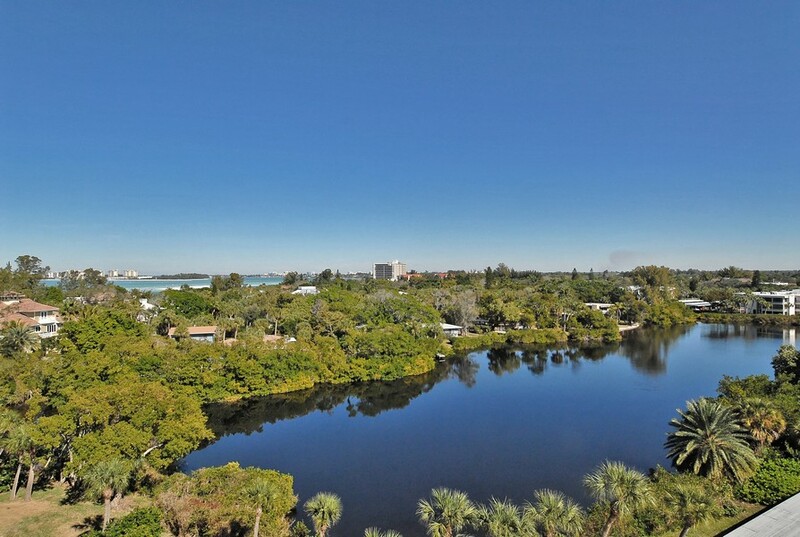 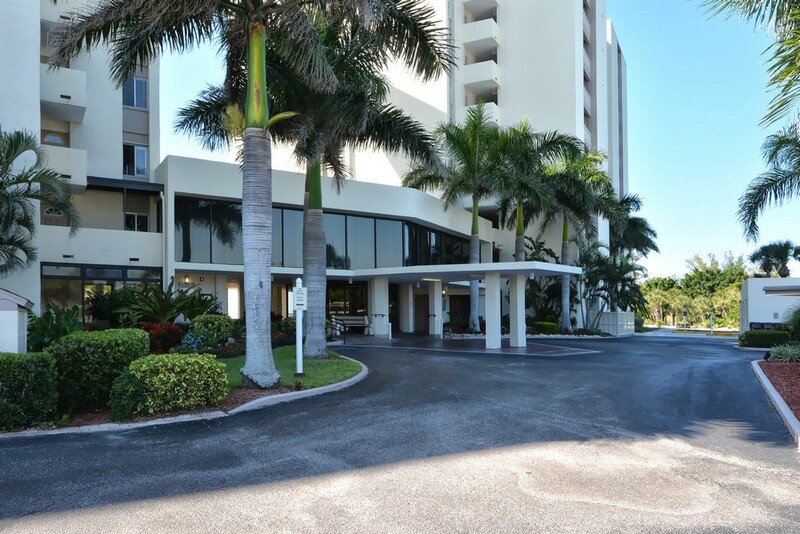 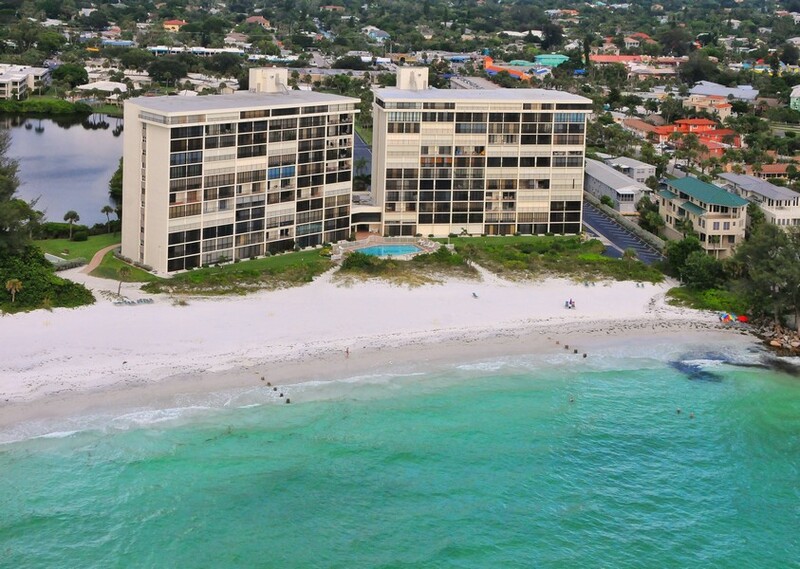 Situated just west of Siesta Key Village and sited on the beach, the complex contains two buildings comprised of 237 units. 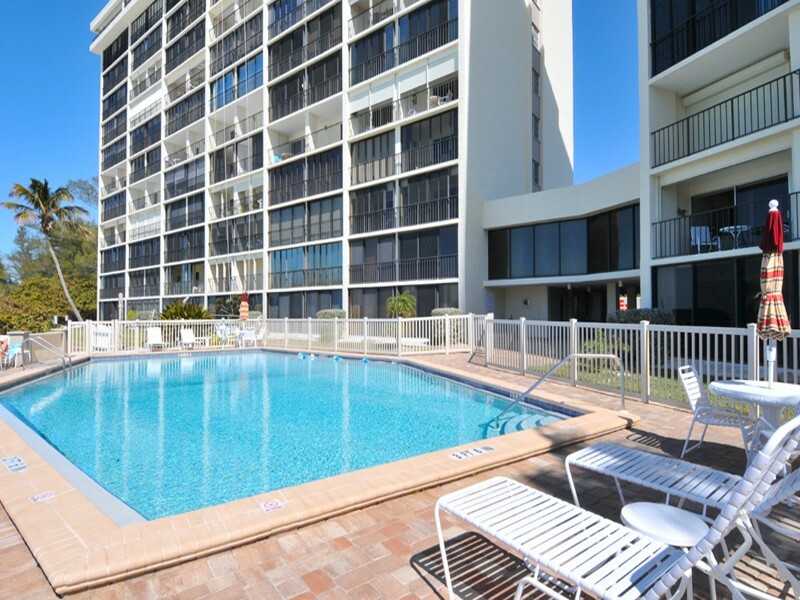 The units are mid-rise, high rise and semi-private villas. 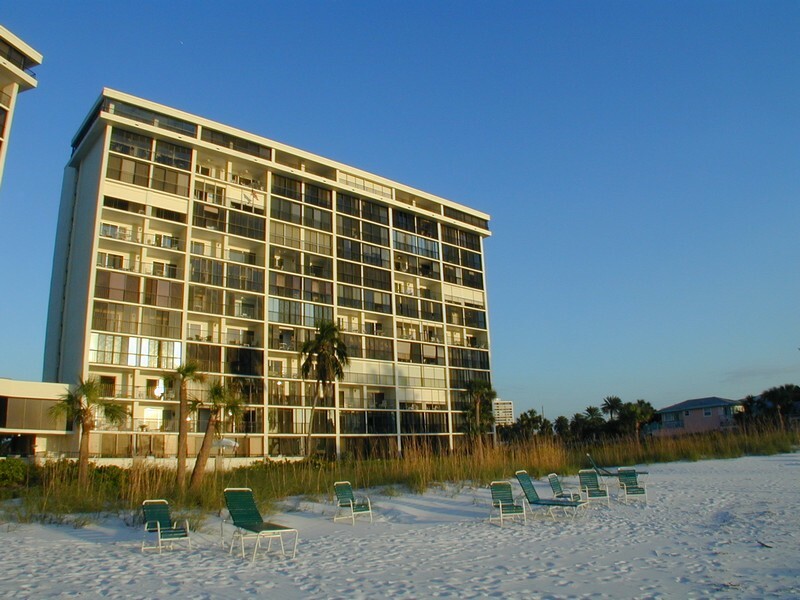 It was built from 1968 to 1973. 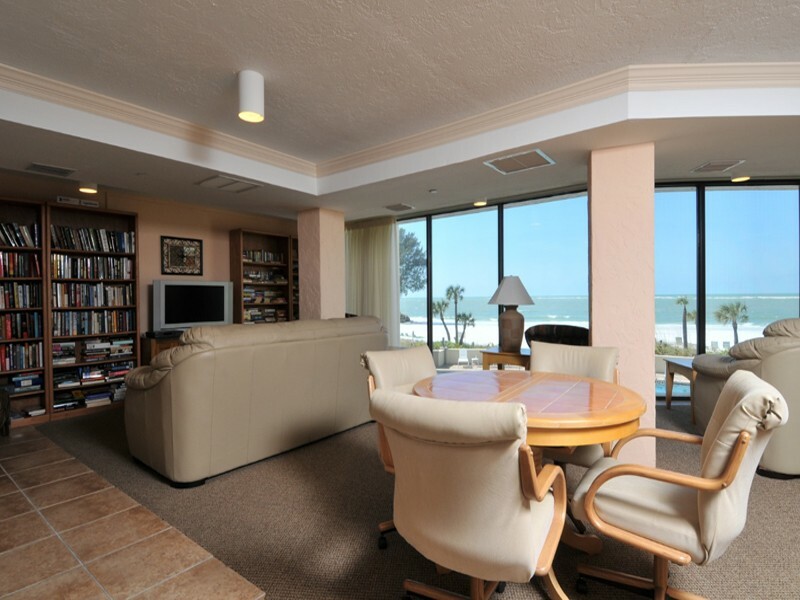 Read more about Whispering Sands. 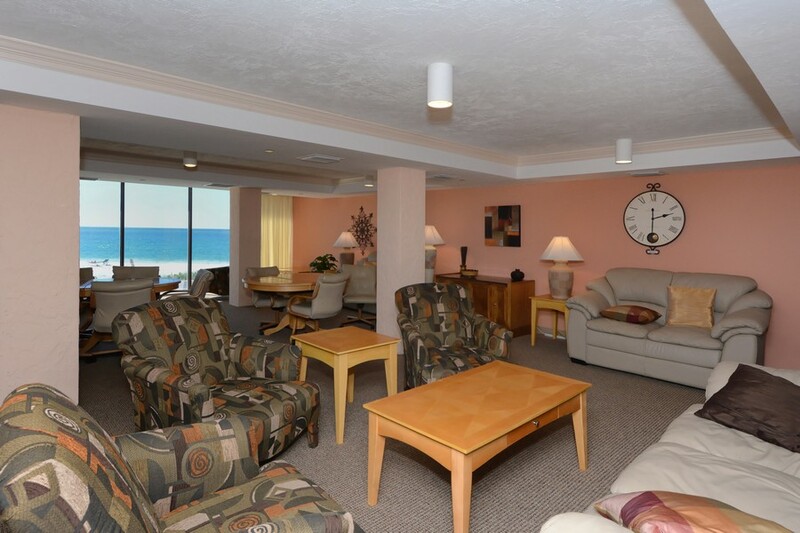 The 800 foot long beachfront of Whispering Sands is just one of its many amenities. 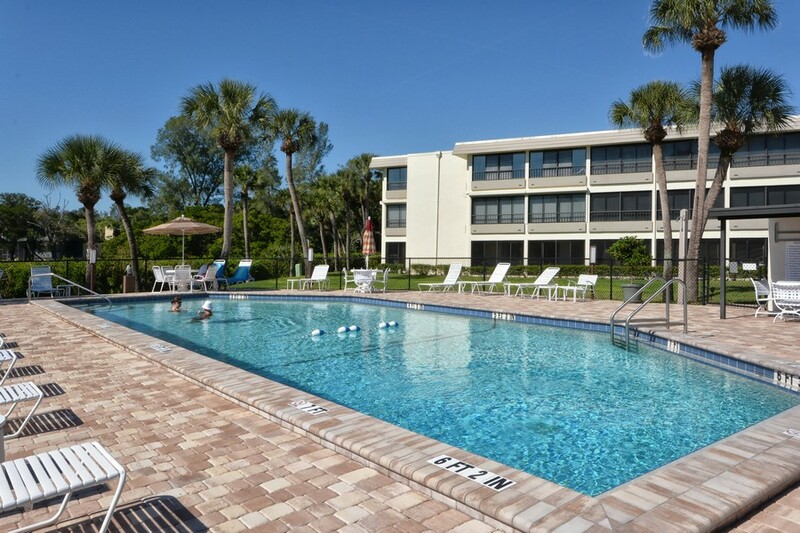 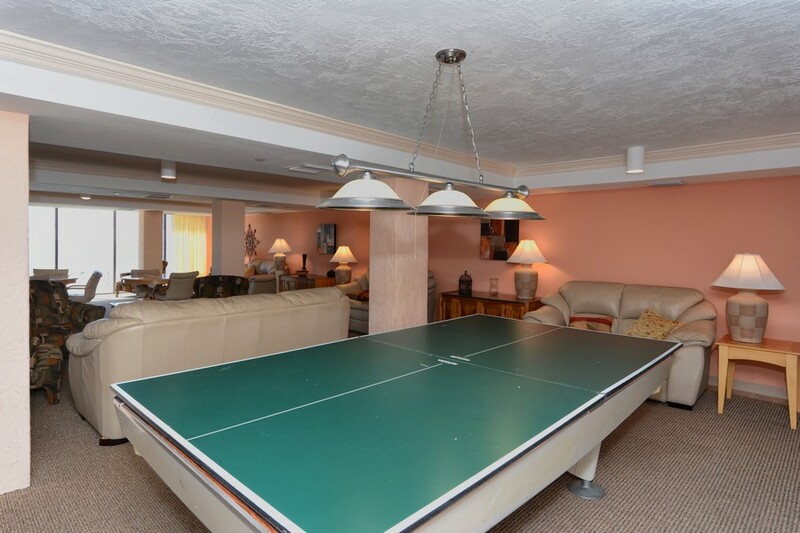 Whispering Sands also has two pools, two clubhouses, fitness room, a barbecue and picnic area and a Tiki Hut for residents’ use. 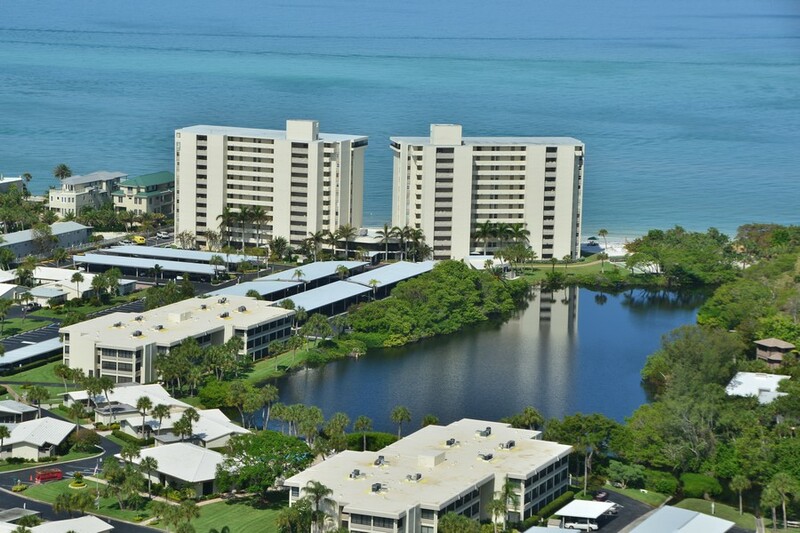 The complex not only features a beautiful beach, but the buildings are situated on a private lagoon, surrounded by lush, manicured grounds. 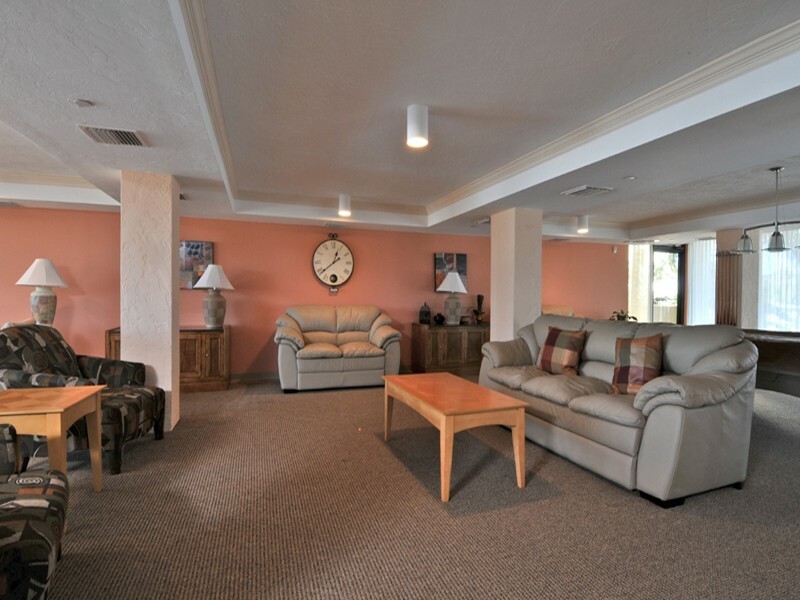 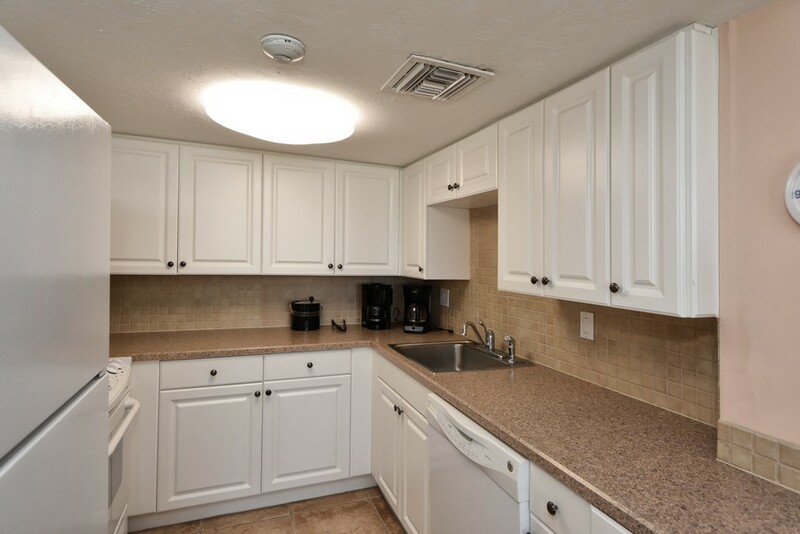 There is much more that Whispering Sands has to offer residents or visitors, however. 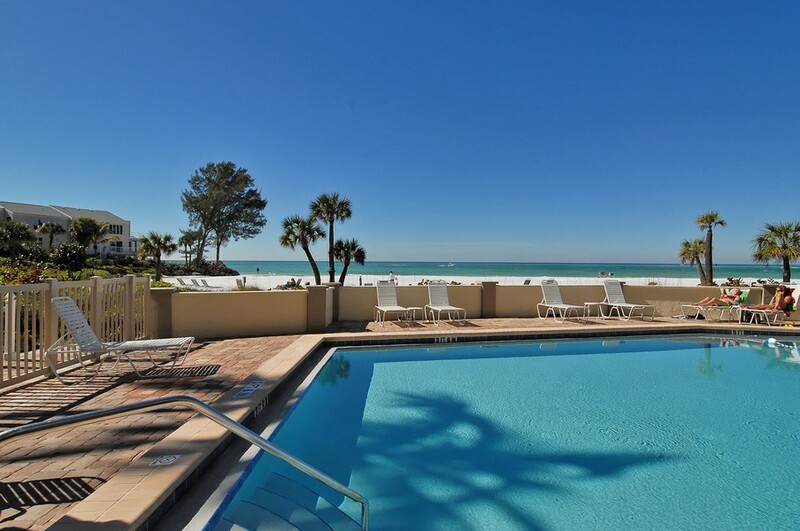 Its location is nothing short of extraordinary. 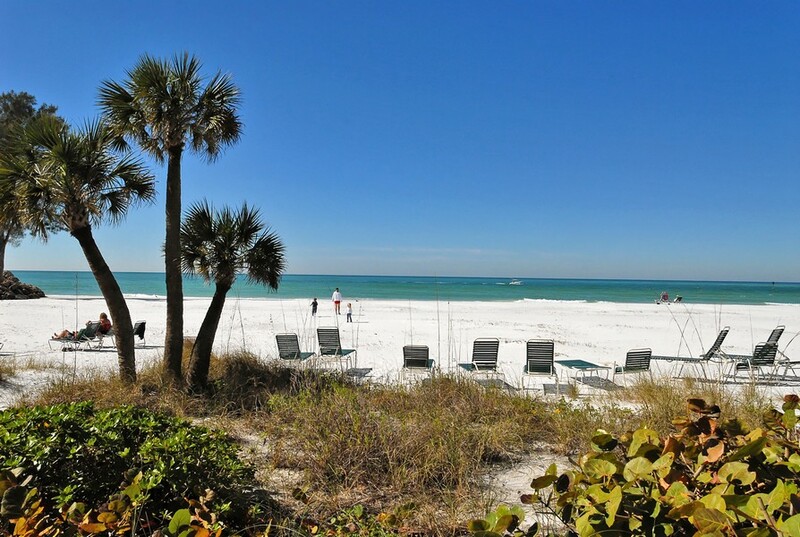 Siesta Key is famous for its white quartz sandy beaches and for its many water-related activities. 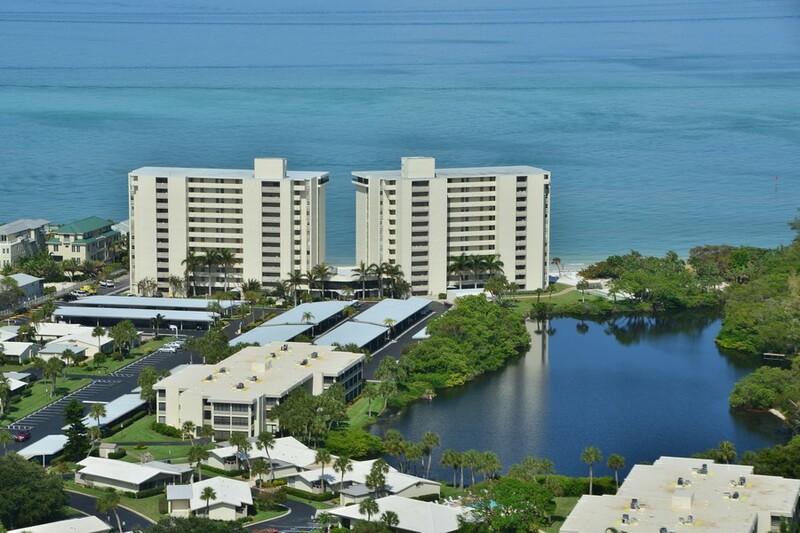 Residents and visitors can enjoy swimming, snorkeling, fishing or just watching the sun set over the beautiful Gulf of Mexico. 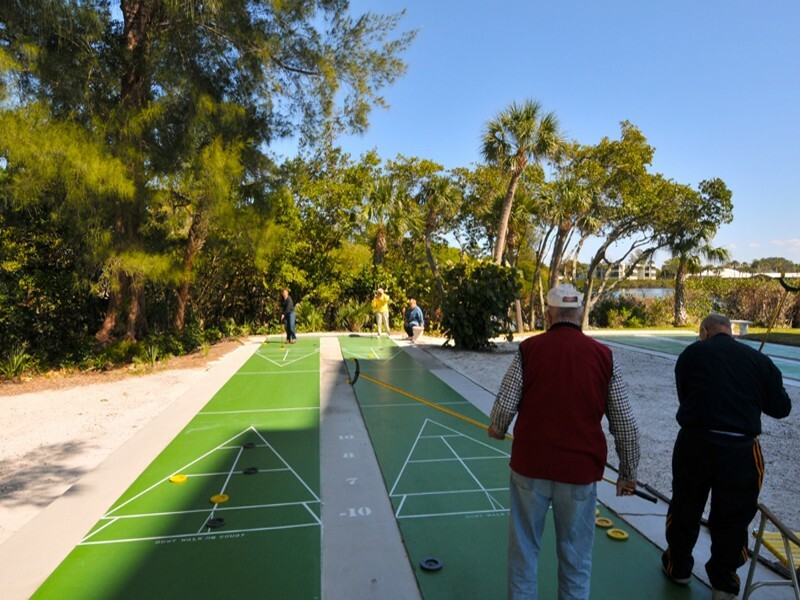 There are over thirty golf courses in the Sarasota area and many other sports activities to participate in or to watch. 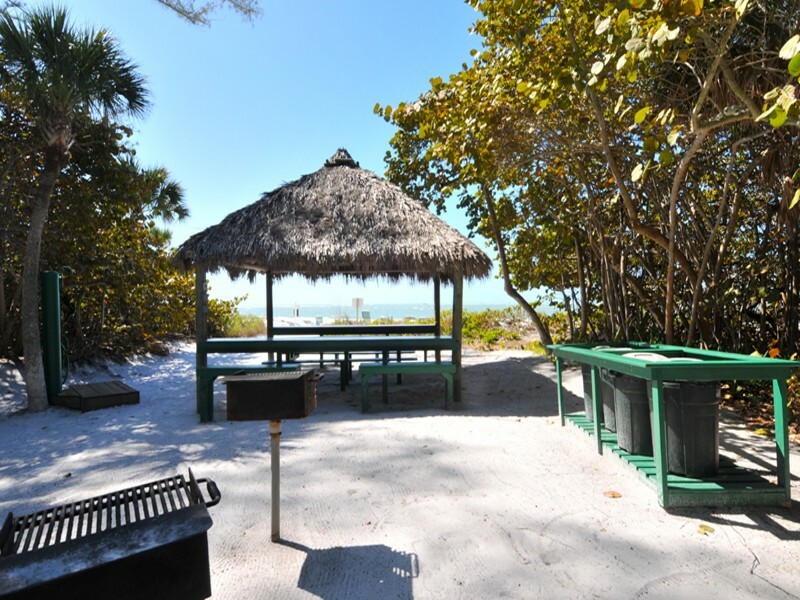 Siesta Key Village also offers a group of spots to enjoy a seafood meal or a frosty tropical drink. 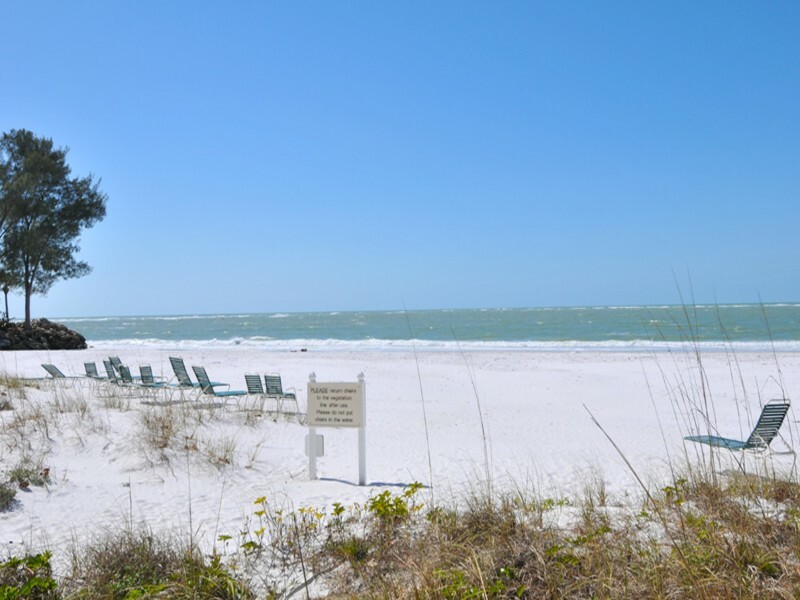 There are also a host of other retailers, nearly one hundred, from clothing to salons, that complete this charming village. 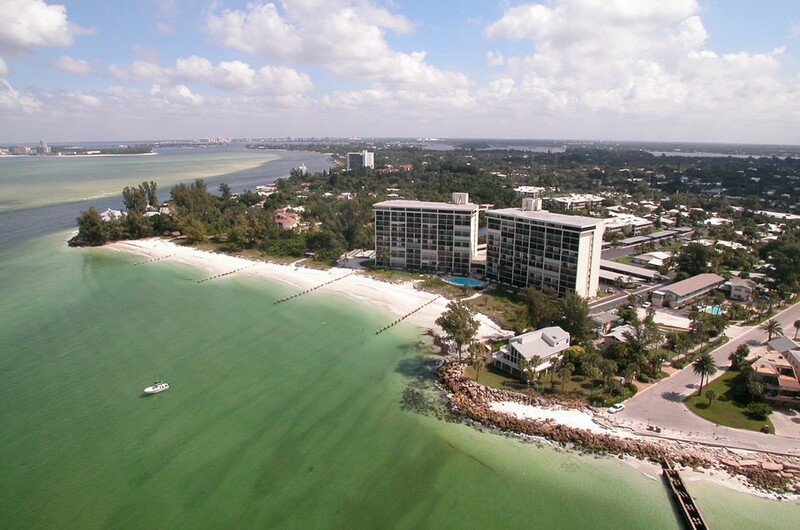 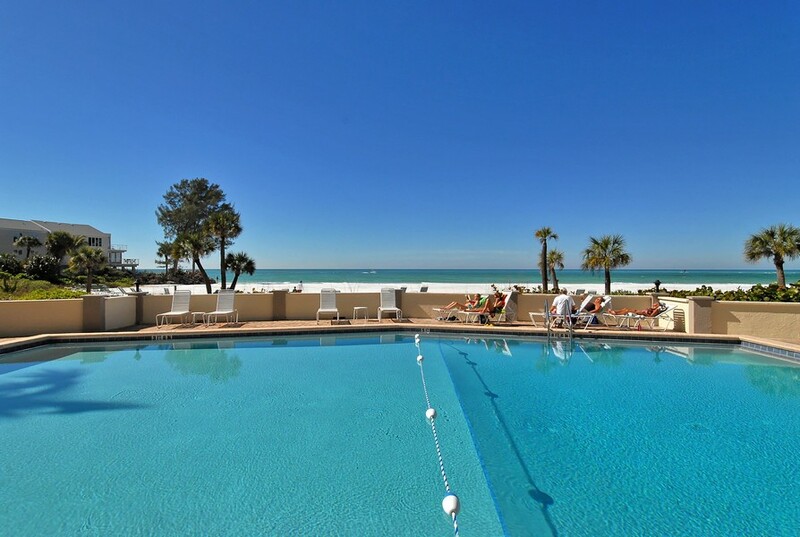 Across the two bridges that link Siesta Key to the mainland, it is just a short trip to the city of Sarasota and everything it has to offer. 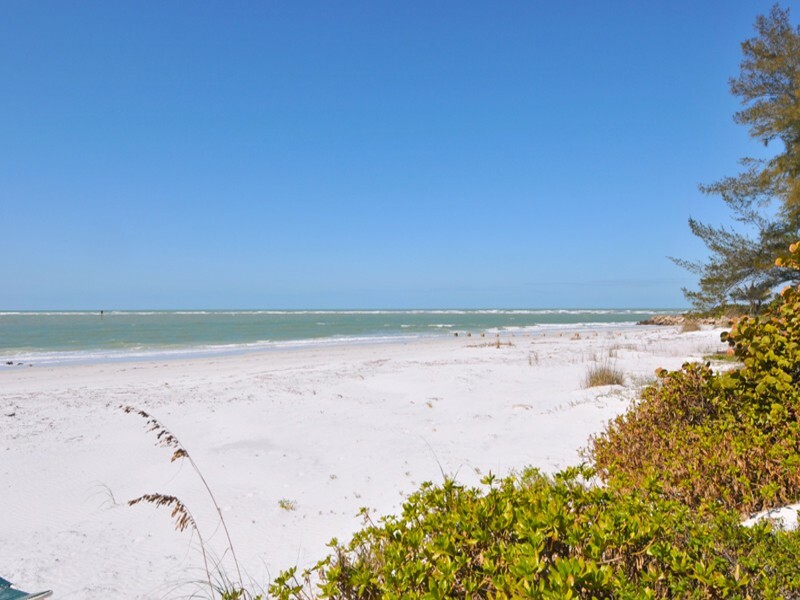 Sarasota has long been known as a cultural hub for the area and almost any day there are exciting and fun things to do there. 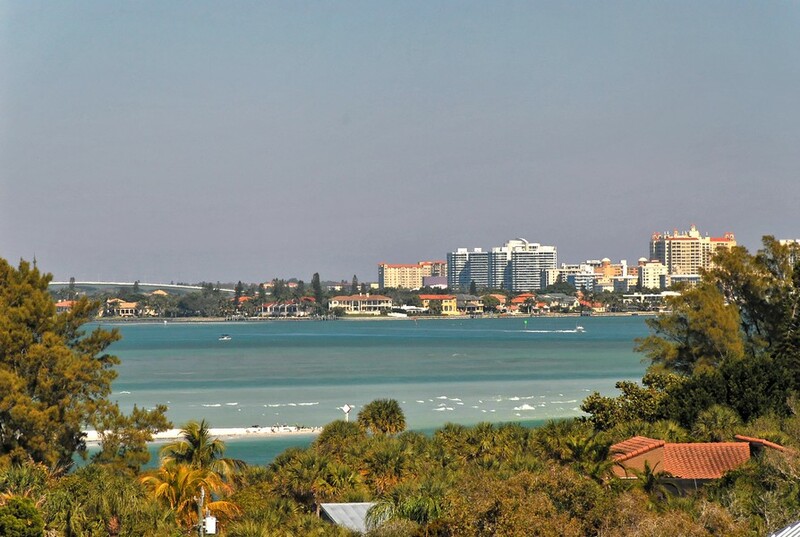 For the lover of the arts, Sarasota offers theater, music and galleries. 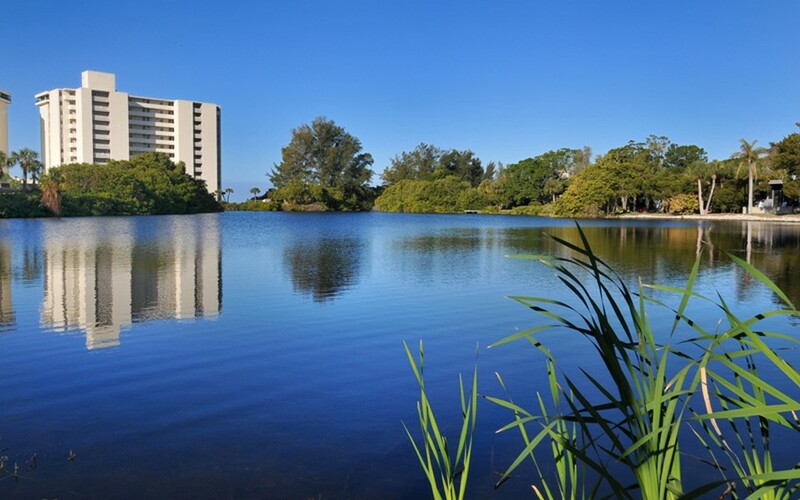 There are many arts related events throughout the year. 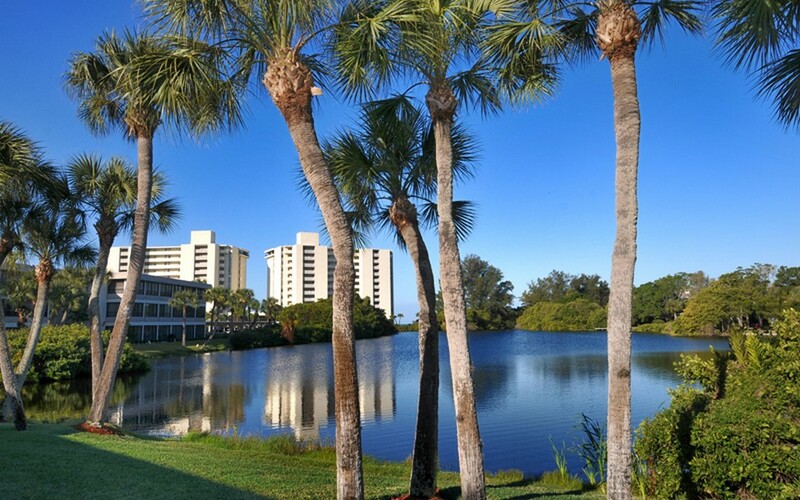 The kids aren’t forgotten in Sarasota either, with many kid-friendly families can enjoy. 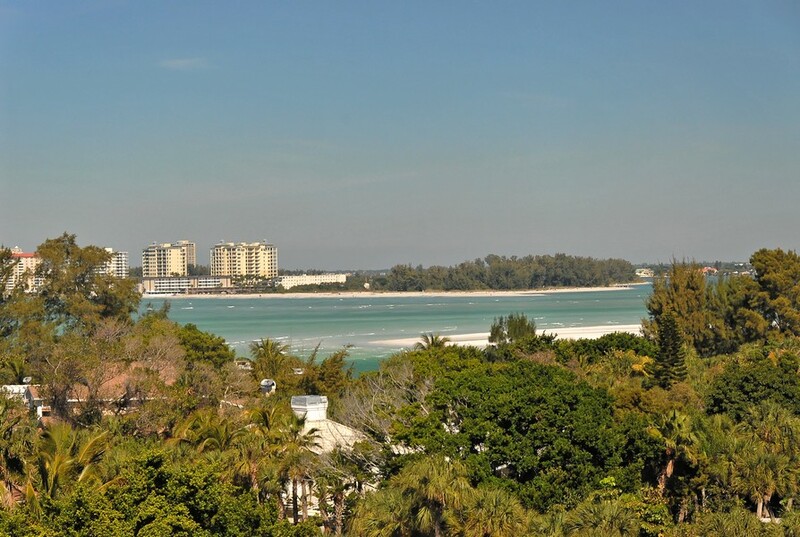 Depending on the type of unit and its location, condominiums at Whispering Sands are priced from the mid $300,000’s to nearly $800,000.